In some ways, the new $600 Sonos Amp — like the decade-old Connect:Amp it’s going to replace — is one of the company’s most vital products. But it’s also a device that a lot of typical consumers are unlikely to ever buy. Having finished its recent, consumer-focused launches of the Sonos One and Sonos Beam, Sonos is now turning its attention to what it calls the installed solutions channel. From top to bottom, that’s who and what the Amp has been built for. It ships globally to consumers in February, but home installation specialists in the US and Canada will be able to get it a couple months early starting on December 1st. 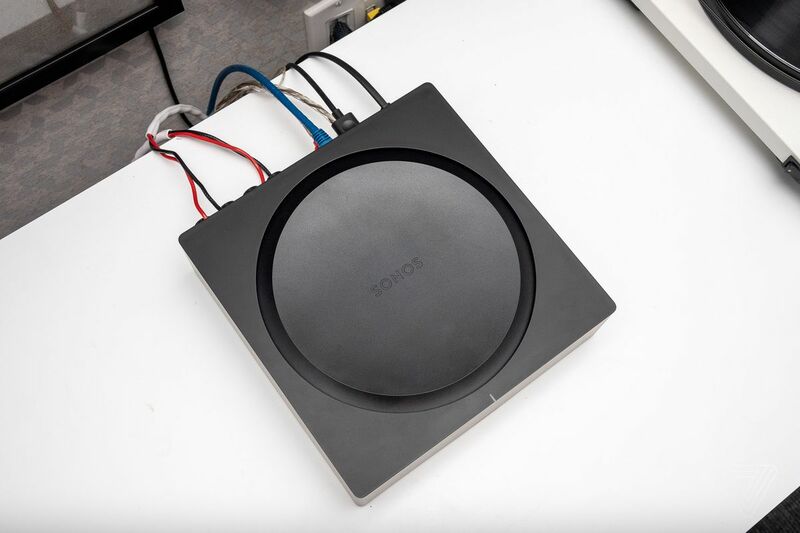 “Sometimes customers and our channel partners don’t think that we’re listening to the feedback that we get, but we are,” said Sonos CEO Patrick Spence. He was kicking off a press gathering at the company’s Boston office and engineering lab last week. “We’re being thoughtful about what we add to the platform and when. 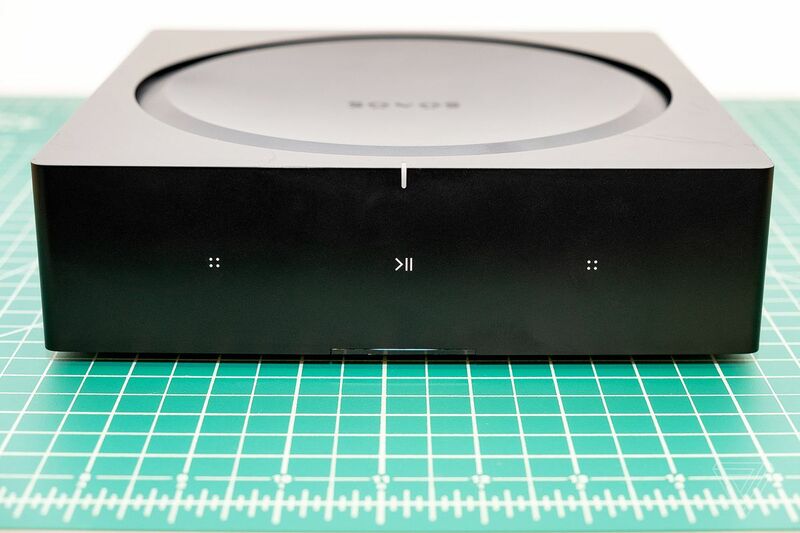 And if we’re going to do it, we’re going to do it for a long time.” Sonos views the Amp as the modern descendant of the ZP100, which was one of the first products that the company ever released; it shipped all the way back in 2005. The Amp shares the same primary purpose as its predecessor. It’s designed to tie the high-end, wired speakers you already own into the Sonos ecosystem, seamlessly joining them with the Play:5, Sonos One, Sonos Beam, Playbase, Playbar, and other Sonos hardware for multi-room audio playback. Just like every other Sonos gadget, you can wirelessly stream music from Spotify, Apple Music, Pandora, and dozens of other services to the Amp. But here, there’s an RCA line-in that can be used for turntables, CD changers, and other audio sources you want to play across your entire Sonos system through the Amp. AirPlay 2 support is built in, and there’s an HDMI ARC input for running your TV’s audio through the Amp. Since the Amp itself isn’t a speaker, there are no mics built in, but if you’ve got an Echo or one of Sonos’ voice-enabled speakers, the Amp will play all of your Alexa requests. It has the same capacitive buttons seen on other recent Sonos speakers for play/pause, volume, and skipping tracks. What can you plug into the Amp? Any speaker that isn’t self-powered. I’m talking about passive bookshelf or floor-standing speakers. If you’re fancy and have the money, you can wire it to ceiling, in-wall, or outdoor speakers. (Sonos refers to this latter category as architectural sound, and it’s going to be a bigger focus area for the company going forward.) 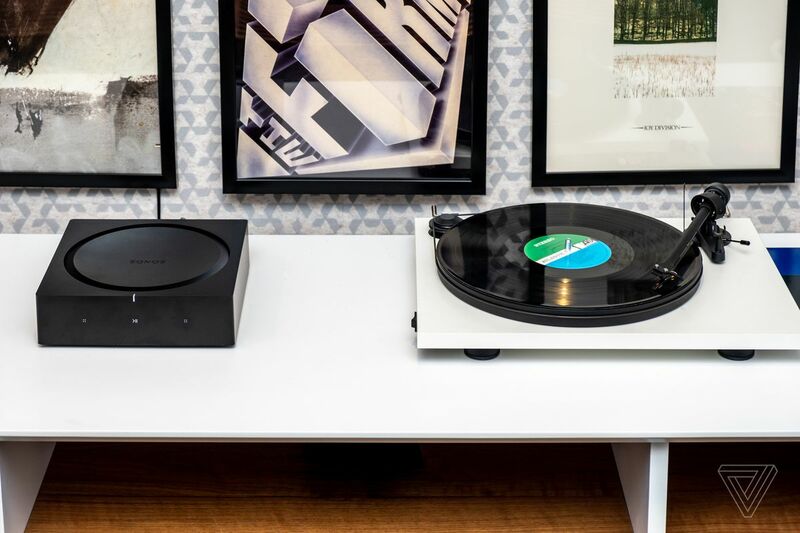 Just keep in mind that if all you’re trying to do is hook up powered, amplified speakers to Sonos — or you simply want to get a turntable working with your existing setup — this isn’t for you. The cheaper $350 Connect handles both of those jobs just fine. In contrast to the Connect:Amp, the new Amp was designed from the start with TV audio in mind. Just like the Sonos Beam, it’s got an HDMI input with full ARC support. So you can plug your TV into the Amp and have it output stereo audio to two speakers for a simple 2.0 system. Since there’s no center channel, the Amp can use digital signal processing (DSP) to create a phantom center channel through stereo imaging. A quick demo (albeit with very nice floorstanding speakers) proved that the effect really does work, so this could be a nice option if you’ve got or plan to install in-wall or in-ceiling speakers near your TV. In this configuration, you can also add two Play:1s, Sonos Ones, or Play:5s as wireless rear surrounds for the wired speakers. If you want to use another set of wired speakers as rear surrounds, that’ll unfortunately require a second Amp unit and another $600. There will certainly be consumers who immediately go out and buy the Amp. But by and large, it’s going to be a powerful hub for high end audio dealers, installers, and integrators. The Connect:Amp became an essential piece of kit for people who make a career out of upgrading homes to be smarter and more automated. These folks undertake the challenge of outfitting every room with the best entertainment and music options money can buy. And then they bring order to everything so that it works under one unified system — from the likes of Crestron or Control4 — to make tech as convenient as possible for a client. 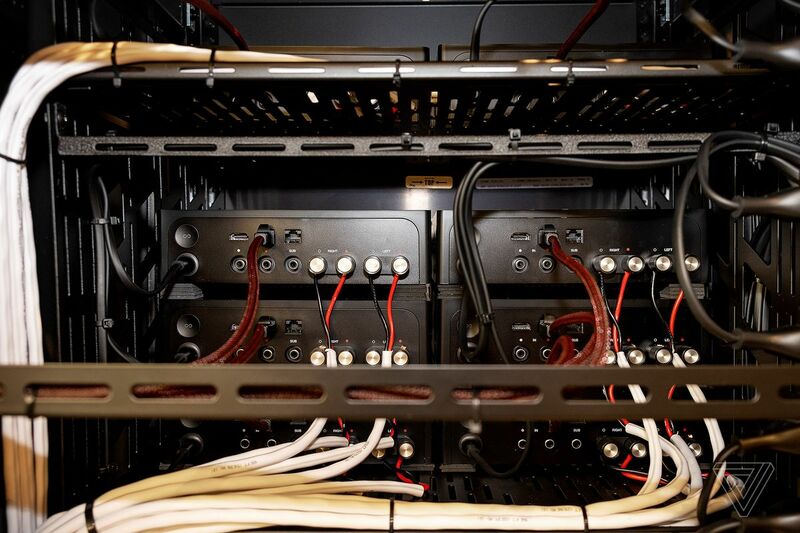 They hide the wires and tuck all the necessary components into a neatly-organized rack. Our Home of the Future series sheds some light on the complexity of all this. 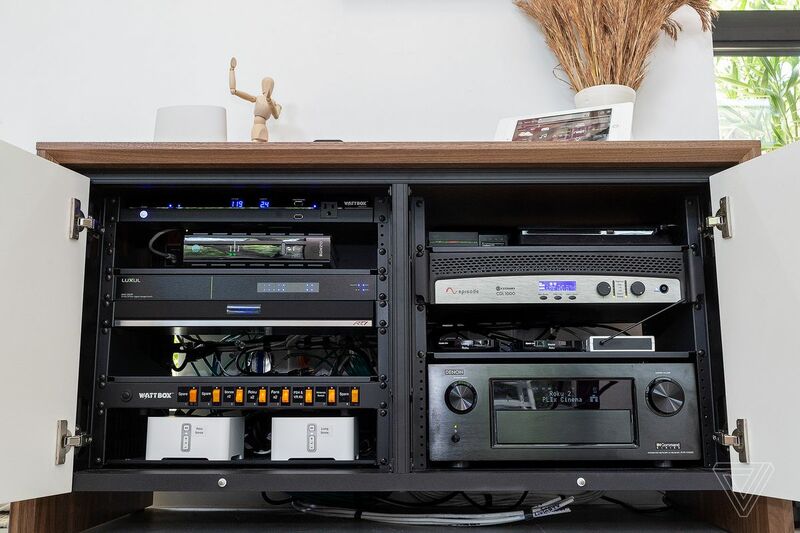 Sonos Connect devices are commonly seen in home A/V racks, but they’re not optimized for that environment. For Sonos, catering to these integrators can result in their clients purchasing thousands of dollars worth of the company’s products and spending years locked into the Sonos ecosystem. The goal is for the Amp to take the Connect:Amp’s place in the brain of a connected home. Because then it’s a central fixture that stays there for who knows how long. It’s a worthwhile business effort — especially when you remember that Sonos and its partners are increasingly trying to sell bundles of multiple speakers to people with cash burning a hole in their pocket. The Amp opens up even more lucrative bundle possibilities for Sonos and the many businesses that are part of the installed solutions channel. As it began approaching development of the Amp, Sonos surveyed 400 of its dealers and integrators, got responses from around 100, and based early concepts of the Amp around that feedback. Fast forward a bit, and the company returned with paper prototypes for another round of evaluation and constructive criticism before settling on the Amp’s final design. “We got an understanding of how much power was desired for different types of speakers. We also learned about the prominence and importance of the rack,” said Benji Rappoport, product manager for the Sonos Amp. The effort put into an A/V rack and the precision with which everything fits together is often how installers judge each other’s work. “The rack is a physical space. It has physical form factor constraints, but it’s much more than that,” said Rappoport. “We need to create a product that allows the integrator to express their craft and do it in a really high quality way.” He described the rack as a showcase for “meticulous craftsmanship.” For the people who love making all of this technology and audio gear work in unison, it’s almost an art. A sometimes-frustrating art with lots of metal boxes and even more wires. 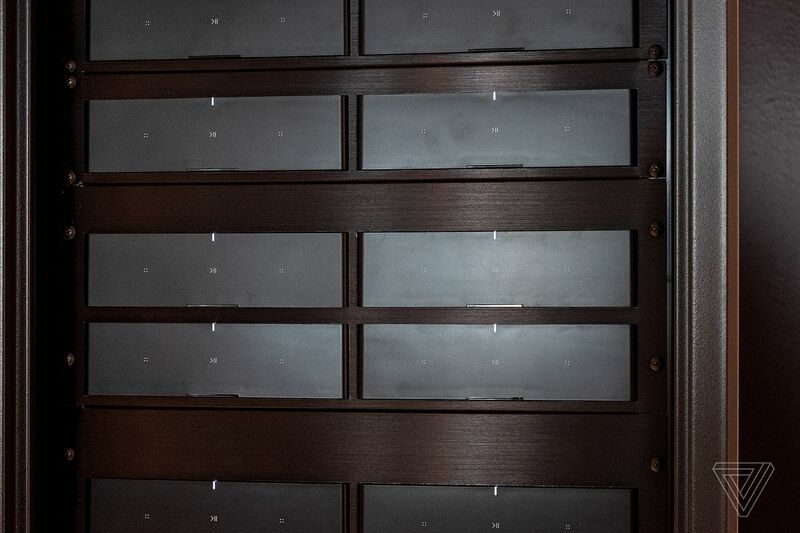 The Sonos Amp is designed to fit nicely into the racks used by professional installers. It’s both stackable and mountable. A backside view of the Amp in a rack configuration. It ships with custom, removable thumb screw-style banana plugs that can be swapped out if you prefer standard banana plugs. The modulator is a DDFA (direct digital feedback amplifier) class D amplifier. 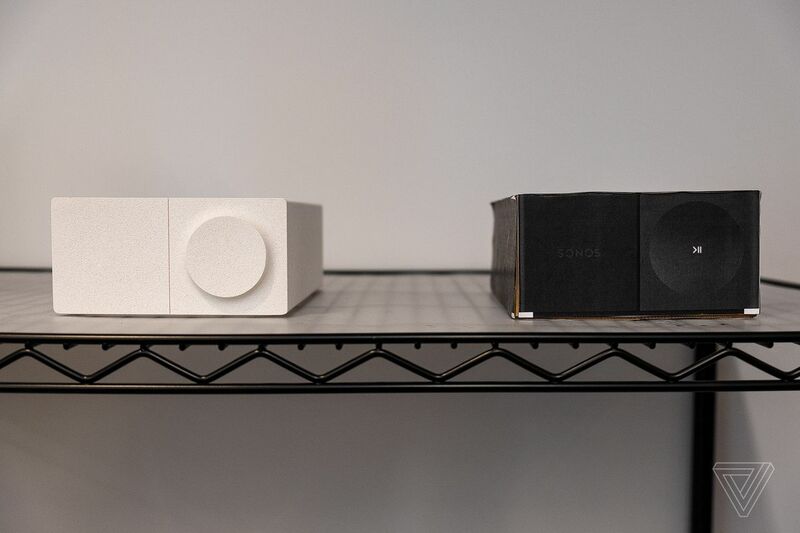 Sonos built its own custom discreet output stage because there was no off-the-shelf part that could balance efficiency and heat management inside the Amp’s tightly-packed chassis. 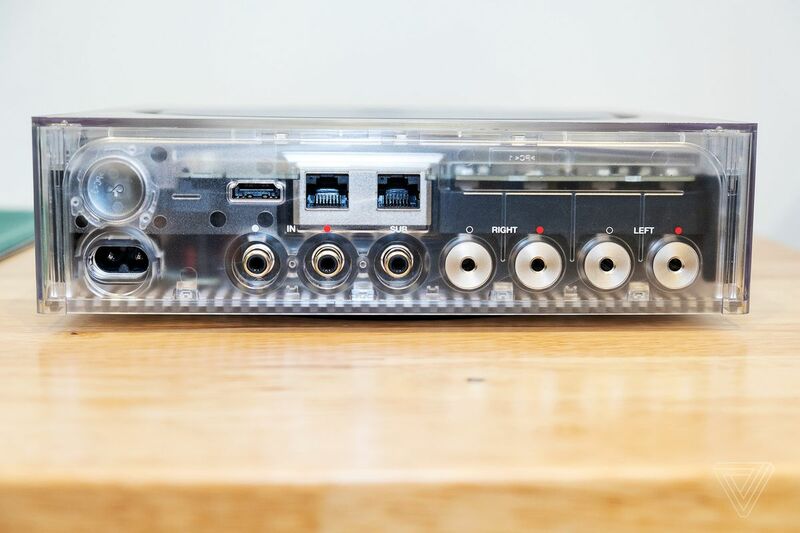 Similarly, it uses a custom power supply designed to fit into the form factor and to provide clean audio output. The Amp’s signal to noise ratio is 116dB with under 0.1 percent total harmonic distortion. The speaker connectors are custom, removable thumb screw-style banana plugs that can be swapped out if you prefer standard banana plugs. They accept 10-18AWG speaker wire. 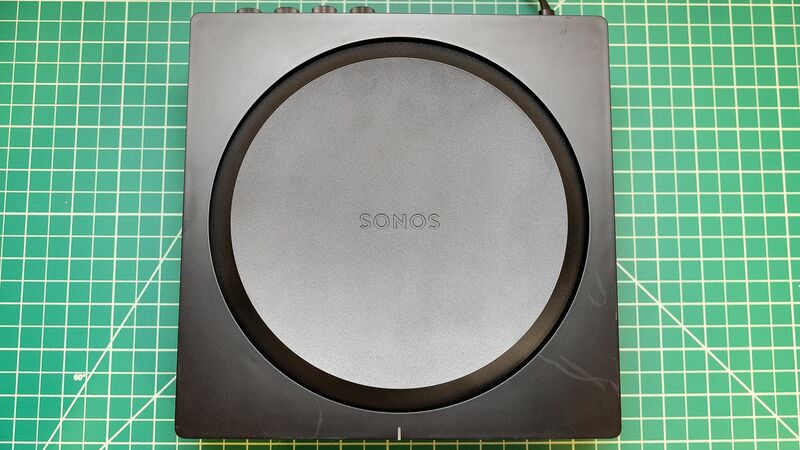 Rather than force people into using its own Sub speaker, Sonos retained the sub output on the Amp for flexibility. “We don’t make an in-ceiling sub. We don’t make an in-wall sub,” Rappoport acknowledged. “If we want to give choice to deliver architectural sound experiences, we knew that we had to provide that provision.” An advantage over the Connect:Amp is that users can adjust crossover on the new Amp between 50 and 110Hz (in 10Hz increments). There are two ethernet jacks; the second can be used if you want to hard wire another Sonos device. The Amp also includes 802.11 b/g/n (but not ac) Wi-Fi if you prefer that over ethernet. That plastic horizontal strip at the bottom is an IR sensor. Because everything needs an IR sensor. A see-through look at the Amp’s rear ports. Sadly, the finished product only comes in black. Sonos says it has put the Amp through a litany of durability, electrical, heat, and performance tests. “We’ve poured cola in the thing,” Rappoport said. The company believes it has established a reputation for quality and long-lasting products, and it’s serious about carrying that forward. Coinciding with the Sonos Amp launch, Sonos is also announcing new software features like Mono Mode. This is exclusive to the Amp, and when activated, both the left and right channels output a mono mix. This might be useful if your speakers are in an open floor plan far apart, if they’re in commercial spaces, or if they’re separated a bit outdoors. Two other software improvements extend beyond the Amp and apply to all current Sonos speakers. First is volume limiting. You can choose to limit volume on a zone-by-zone or player-by-player basis. When this option is enabled, you’ll have access to a new, second volume slider that’s used to set max volume. Once that’s done, the regular volume slider for your Sonos app will peak at the chosen maximum volume. Second, Sonos is going to let users completely turn off all Wi-Fi activity on its devices when they’re connected by ethernet. This is something that installers have requested, but it’ll be available to all end users. 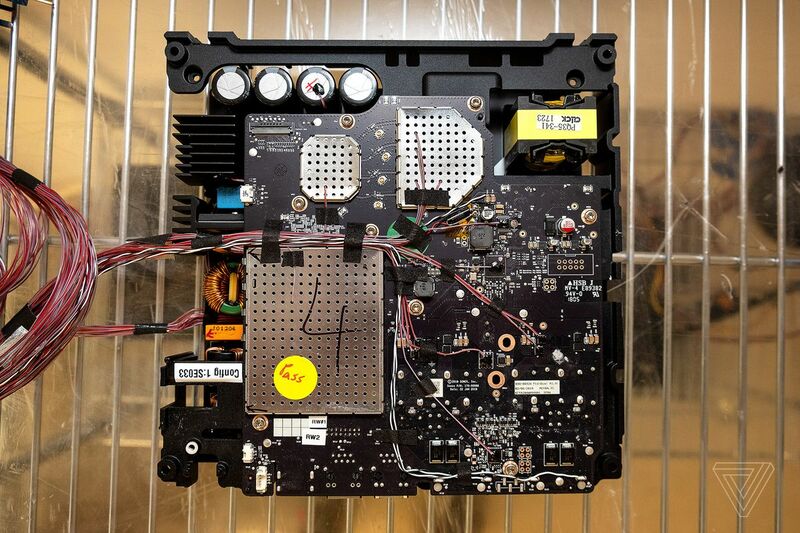 A look at the Sonos Amp’s inner guts. As I said earlier, the people (and integrators) who’ll be quick to place orders for the new Sonos Amp have likely been anticipating it and waiting for some time. It wouldn’t surprise me if everyone else just shrugs and saves their excitement for the next big consumer product from the company. But in the long run, making the Amp a success is just as critical to Sonos’ future as any Alexa speaker could ever be. Photography by Chris Welch / The Verge.